Buy 1 - 11 for $12.95 ea. Buy 12+ for $11.45 ea. 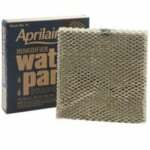 The FiltersFast A35WPR is the compatible replacement for the Aprilaire A35WPR Water Panel 600. 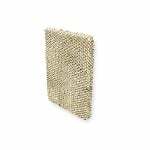 The FiltersFast A35WPR compatible humidifier filter is an evaporator panel that delivers moisture throughout the air in your home and is a lower cost alternative to the OEM Aprilaire pad. There is also a metal version of the same filter available here. 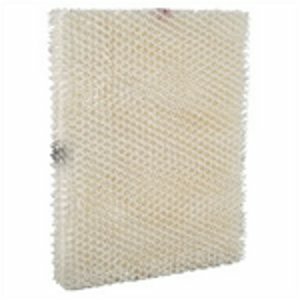 The wick style humidifier pad draws in water from the take and as dry air moves through the wet pad it gathers moisture. The filter also collects lime and other hard water deposits to prevent them from entering the air and settling on surfaces which can be seen as a white dust. Depending on water quality the pad may need replaced more frequently. 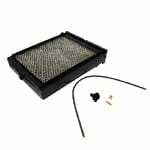 This filter is specifically designed for the Aprilaire 600 and other compatible humidifier systems.